Whenever we collaborate with our colleagues across District 214, we are reminded how much we have to learn from one another and our students! That reminder came again this week when we visited classes at The Academy at Forest View. 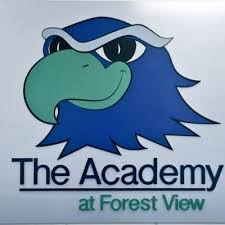 The Academy at Forest View is one of District 214's specialized learning programs. The dedicated staff there works collaboratively to motivate students who have struggled in the larger comprehensive high schools. Some students strive to integrate back to their home schools, others will choose to stay at The Academy until they graduate. Our visit to The Academy this week represents a continuation of collaboration that began during the 2016-17 school year when a small team of teachers from both schools met to discuss strategies to align curriculum for the students we share. We also discussed research-based strategies to meet both the academic and social-emotional needs of diverse groups of learners. For example, we talked about trauma informed approaches to support students who have experienced Adverse Childhood Experiences (ACEs). That initial collaboration led to the idea to share our learning more broadly by inviting the staff from the Academy to join us at Elk Grove for our April Institute Day. Teachers from both schools facilitated workshops. To learn more about what that Institute Day looked like, check out these previous posts: Spring Brings New Collaborations and Motivating Students with Feedback. The feedback from staff about our joint Institute Day was so positive that we decided to continue our collaboration during the 2017-18 school year. Staff from The Academy will join us for our monthly Elk Grove Lead Learners Team meetings, and we will also participate in a series of ongoing learning exchanges at both schools. 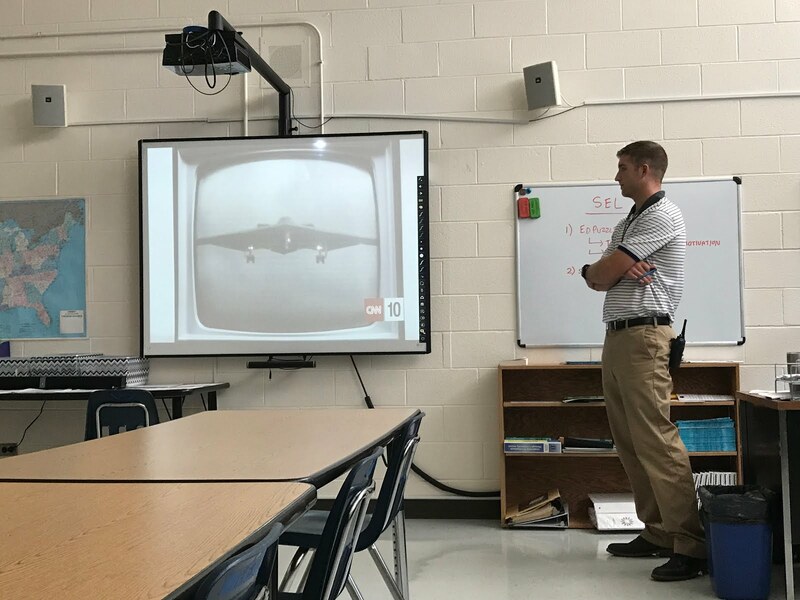 For our first visit to the Academy this year, Kyle Pfister and Alyssa Zwiercan welcomed us to their History, English, and Social-Emotional Learning classes. In each of those classes we observed how they seamlessly blend both academic and social emotional learning strategies to connect with their students and encourage progress toward high expectations for learning. Every time we visit The Academy, we leave inspired. If you are not familiar with The Academy, we think you should consider visiting. Kara Kendrick, the Director of The Academy at Forest View agrees, telling us, "I am incredibly proud of how hard our staff works with some of the most vulnerable students in the district, and I know that without seeing it, it is hard to understand. You are welcome anytime. Bring your friends!"